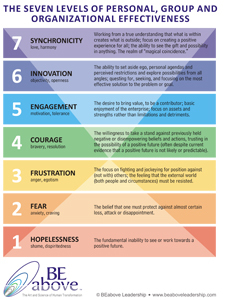 This wonderful Reference Chart of the 7 Levels of Effectiveness is printed on high-quality, glossy, heavy cardstock. A handy reference chart that you can carry in your wallet ready for use anywhere. Fill in your information below and you will receive a free wallet card in the mail just for signing up for our newsletter.